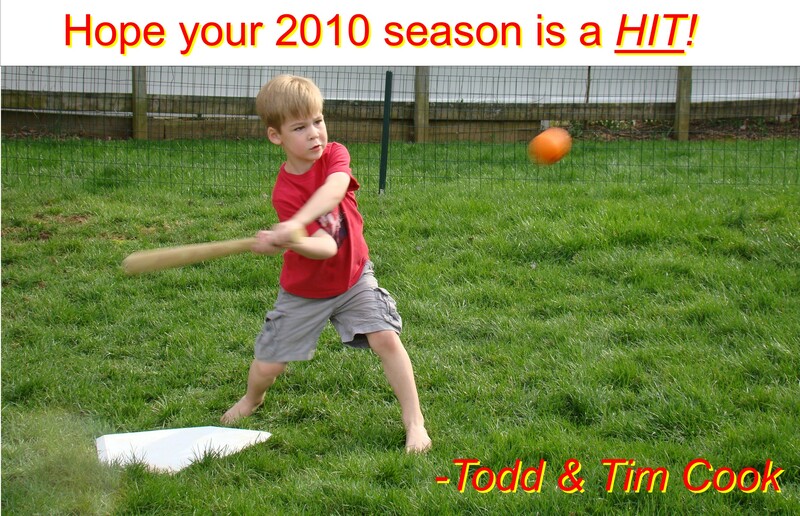 The 2010 regular season starts tomorrow. We’re excited. And we have lots of plans for making it a great season. At a time like this, we can’t help but look back on where we have been and forward to where we are going. 1. See Ken Griffey, Jr. hit another homerun. 2. Witness final home run of Ken Griffey, Jr.’s career (assuming he retires after 2010 season). 5. 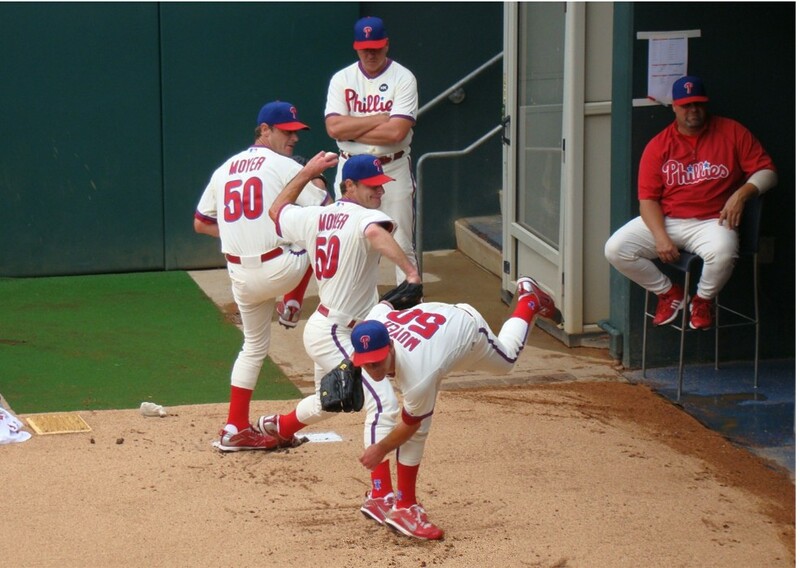 See Jamie Moyer win a game. 6. 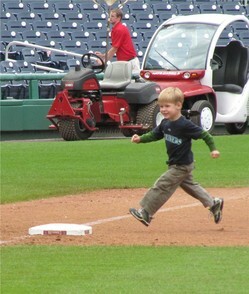 Run the bases at 5 stadiums (Citizens Bank Park, PNC Park, Petco Park, Citi Field, Nationals Park). 7. Catch a Target Field inaugural season ball. 8. Catch a game homerun or foul ball. 9. Get Gill and Kate (Tim’s cousins) to their first game. 10. 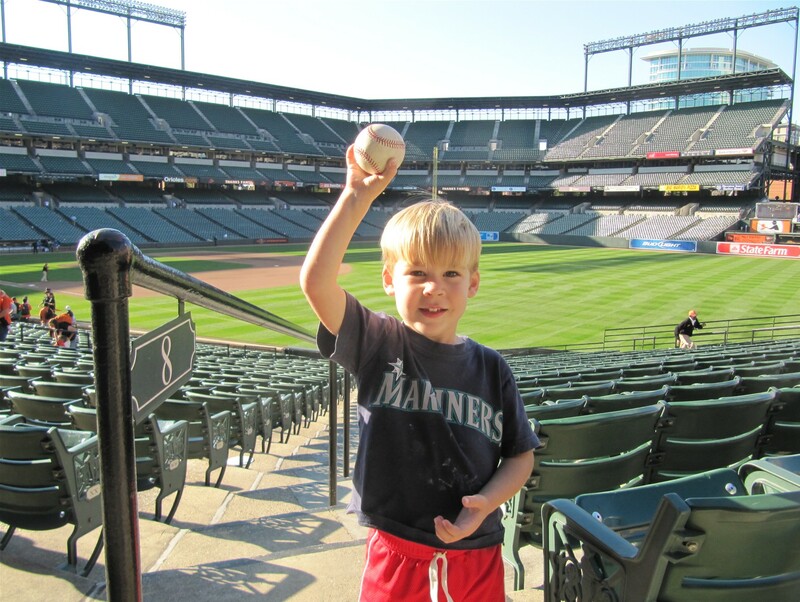 See the Mariners play at 5+ stadiums (Safeco (4), Camden (2), Yankee (2), Petco (2), Progressive (2)). 11.-14. & 17. – Focus on pictures with players. I won’t list them all, but I have a number of specific players we would like to try to get our pictures with and general “picture with players” goals. 15. Third Annual Baseball Roadtrip – All California Stadiums. 16. 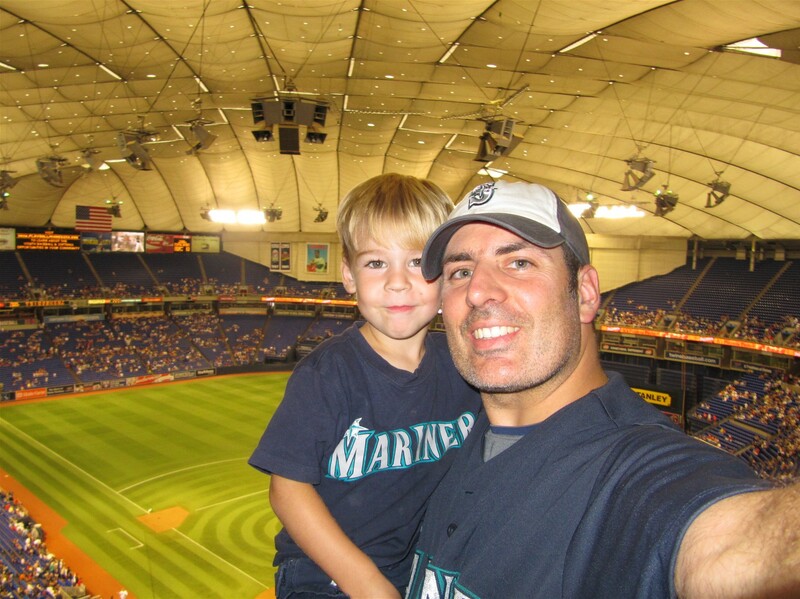 New Stadium and Teams for Tim’s Fourth MLB Anniversary. 18. Eat an Orioles ice cream helmet at Camden Yards. 19. Win MyGameBalls.com photo-scavenger hunt. 20. Have fun and make memories. Goals aside, we plan to have another great season. 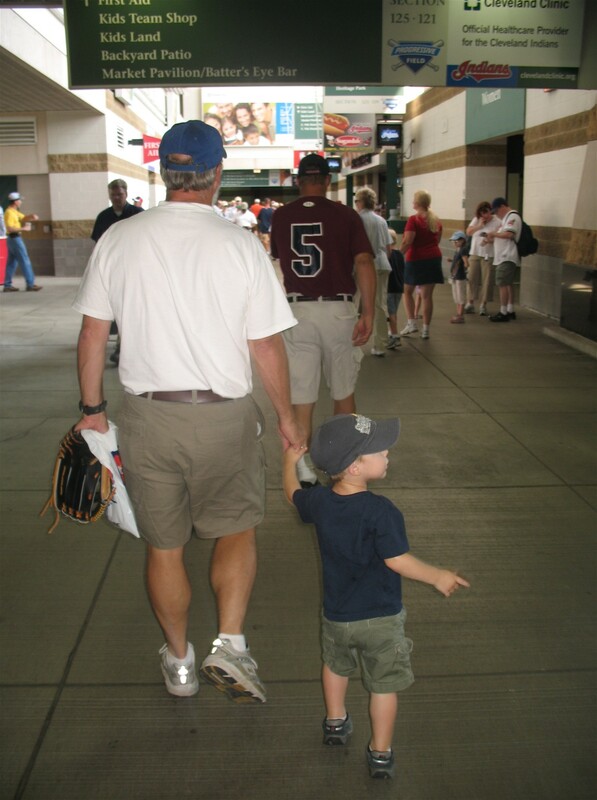 We will visit all five California stadiums (Oakland, Los Angeles, San Diego, Anaheim, and San Francisco) on the Third Annual Cook Grandfather-Father-Son Baseball Roadtrip of 2010, along with probably 8 more stadiums (Safeco Field, Camden Yards, Nationals Park, Citi Field, Citizens Bank Park, Yankee Stadium, Progressive Field, and PNC Park). It is going to be great. 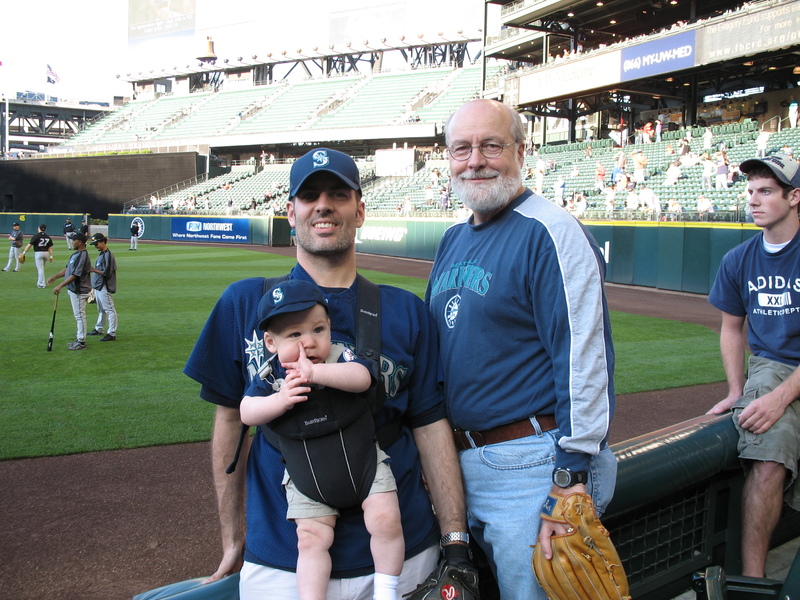 And, we plan to end the season in Seattle, where we will be joined by a special guest and we hope to witness Griffey’s final home run of his career. Great entry! I’m sorry but I’m going to have to contend with goal #19. We both can’t have the same goal! Seriously though, I hope you and Tim reach all of your goals this season. On another note, I just put up a brief entry on a trip I’m taking this summer to Cleveland. What are the chances of you going to Progressive sometime between August 26-30? That’s when I’ll be there, but I don’t know which game yet. It would be really cool if we could meet up. Thanks. I just responded on your Cleveland entry. I got the same email & forwarded it to you. Good Job! Now you just need to get there…. YES! YES! YES!!!! I got my email too. YES! Thanks to everyone for the help. We’re heading to Camden Yards tomorrow, expect a full report on this breaking news story. Great news! Congratulations to all! I’ll be looking forward to reading the report here!